In the spring of 2011, they moved from Santa Fe to Louisville, Kentucky in a space that is large enough to accommodate the work and ample storage space. They work seven days a week. 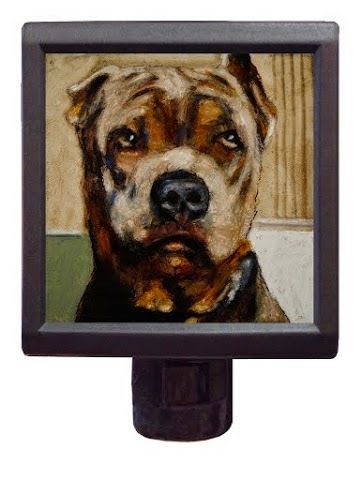 Mark is usually painting fifty 12”x12” paintings of dogs at a time from dawn until around midnight. Marina is wearing a multitude of hats, including the heart-breaking part of receiving and organizing new images and stories they receive daily of dogs that have been put down at shelters. not just a random number. It is the number of dogs killed in American shelters. EVERY. SINGLE. DAY. The rate is double that for cats. It time that we as a dog-loving nation stand up and say, “No more senseless killing of dogs and cats unfortunate enough not to have a loving home.” I’d like to believe that we are better than this. We are very quick to condemn other countries for their treatment of stray dogs and cats. It’s time that we look in the mirror at our own ways of dealing with the homeless pet population. the one he is currently painting. I hope to have Grant, who was killed for having a food aggression, lighting my home for Christmas. 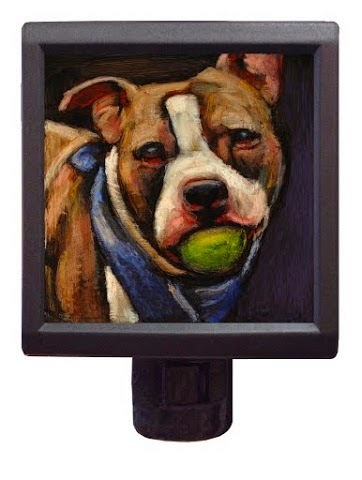 Each night light costs $38 and would make a beautiful Christmas gift for the rescue lover on your list. Mark admits that some of the paintings have taken an emotional toll. Most of the portraits are in a 12”x12” format, but ten of the especially tragic stories that exemplify “the excuses of people to perpetuate the killing” have been selected for large scale 8’x8’ paintings. Please take a moment to peruse through the An Act of Dog website. I can tell you that it affected me in a way that I had not expected. I hope to make a trip to Louisville one day, visit the Museum of Compassion, and meet the remarkable Mark and Marina. This Collage of Compassion feature 4% of the 5,500 portraits. Below is a video from An Act of Dog. They teamed up with a documentary filmmaker to track the project until completion. I believe you'll enjoy it. **Last night I met five of my best friends from high school for the first time in forever. I won’t say how many years it’s been, but a lot of my audience wasn’t born yet. ☺ It was so much fun to see them again. It is true what they say about true friends, no matter how much time passes, after a few minutes it is as if you were never apart. Thanks for the laughter and let’s get together again! 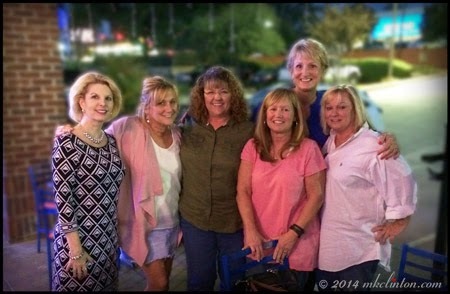 From L to R: Cindy Byrd, Tracy Carpenter, me, Jana Johnston (blue shirt), Debbie Berthelot, and Katy Blount. That's pretty awesome. This project sounds a little familiar to me, like I may have read about it previously but I just can't remember where now... Gorgeous portraits! He definitely captures each dog's emotions. Their eyes speak. I contributed to this project a year or so ago. Though his art is fantastic, I rarely visit the site because I always end up in tears. Thank you for a lovely article. hmmmm, my first comment disappeared! As I was saying, this is just amazing <3 You are wonderful for sharing! Thanks. They are putting a face to the faceless dogs lost in the "system." I'm glad that you liked it. It is so nice to meet up with DEAR "old" FURENDS. It nearly breaks my heart, but maybe it helps to avoid that so much dogs have to die just because no one wants them. 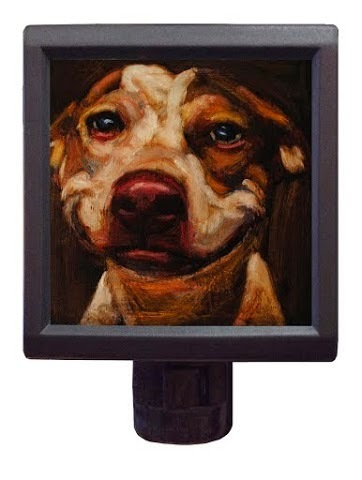 The work is incredible and it touches your heart to look into the dog's eyes. There has to be a better way. Beautiful drawings! Nice you got to meet up with those old friends. Mom met up with her HS best friend she hadn't seen since the summer of graduation a couple months ago and really enjoyed the meetup. Mark Barone does incredible work. Isn't it strange how the years just dissolve and it's like you've never been apart? I hope to see them again soon. I"ve read about this project before, but it's been awhile - going to go catch up on what he's done since last I looked. Oh good! They have quite a number of dogs painted. I'm sure you'll enjoy visiting. What an inspiring project. I am always shocked at the number of euthanasia rate of shelter dogs and cats. It is very sad. Thanks to Mark and Marina for shedding light on this issue. It makes it real when you see those faces. Thanks for stopping by. That would be a wonderful project! 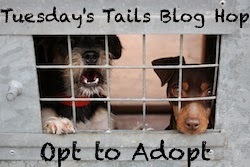 It is so sad to think of the number of dogs who are just thrown away. Nice reunion too! Wow! This story is truly compelling...I couldn't stop reading... it makes me sad and hopeful at the same time. These people are making such an amazing emotional and physical sacrifice to better the world for dogs. I want to help, please let me know if I can continue what you have started, or if I can help spread the word in any way. Thank you for sharing this story and awareness. Sad, just sad about how many animals are killed in shelters but there is a light at the end of the tunnel with the work that these two wonderful people are doing. What beautiful work Mark does. 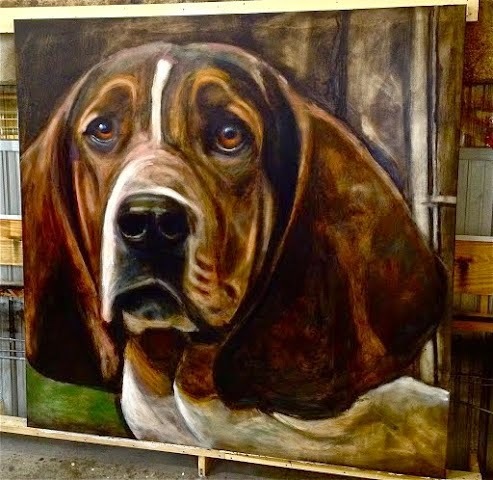 That basset hound picture is stunning! After I was all teared up it was nice to see you got together with your high school friends, how nice is that. What an amazing thing they are doing. It has to be so difficult dealing with those disheartening statistics and seeing the faces of those that are part of them. How nice meeting up with old friends is! You all look great (and not nearly as old as you were insinuating)!